Pour chocolate chips into a heatproof bowl. Place in the microwave for 20 second intervals, stirring in between until melted. Dip the strawberries into chocolate and lay on wax paper to cool. 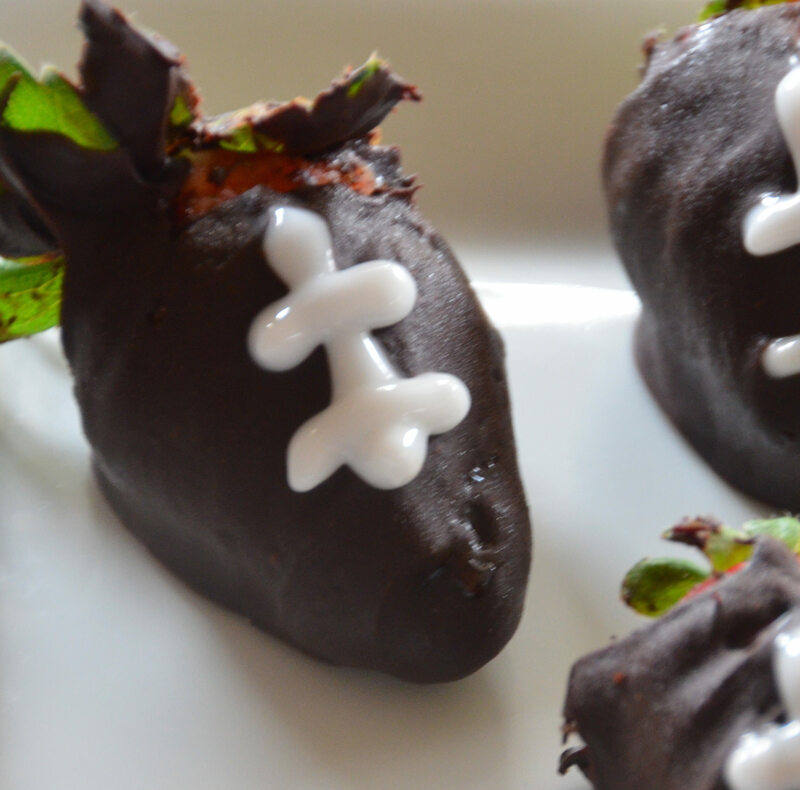 Use the white icing to decorate the strawberries like footballs.